The Museum aims to provide a portrait of Sittingbourne and the surrounding area at various times from the recent past to our earliest history. From before Roman times people have inhabited the area. They worked on the land; they were traders on and around Milton Creek; they worked in the town’s many inns catering for travellers on the busy Dover Road; they were employed in the brickfields and in the paper mills. During the two world wars they went off to war or made preparations for the worst. 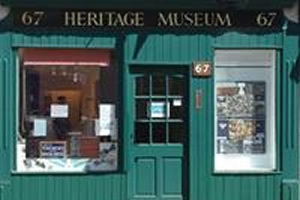 Displays such as our 1940s kitchen and numerous displays of local artefacts tell their story.